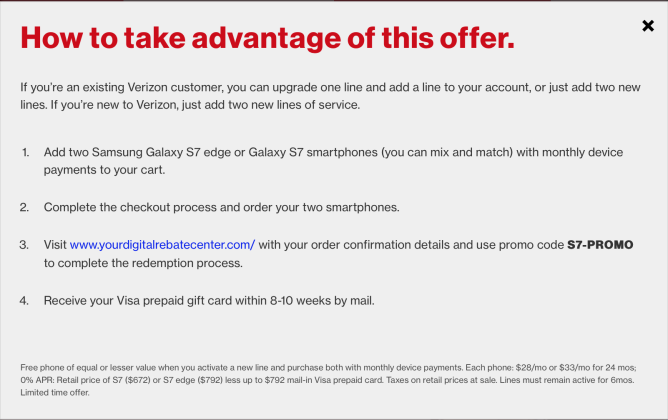 Following on the heels of other carriers, Verizon has now announced its own deal for customers looking to hook themselves, and someone else, up with either a Galaxy S7 or Galaxy S7 Edge. If this is you, then you can head on over to Verizon's website to get down to business. Judging from the promo rules, it works similar to other BOGO offers where you go under a payment plan on both devices, then you get a prepaid card for the full retail price of one of the phones, or about $792, within 8-10 weeks. Whether you use that money to pay off one of the phones, or be a baller for a weekend, is totally up to you! 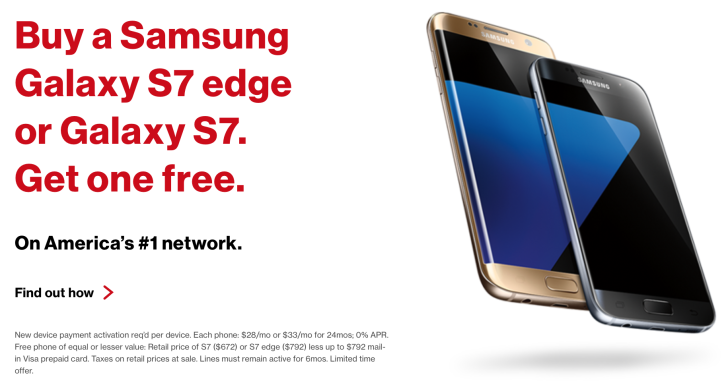 Sprint is also running a similar BOGO promo, but only if both phones are a regular Galaxy S7. If you want two S7 Edges or one of each, then the offer changes to buy-one-get-one-50%-off. Both offers require device payment plans, and in the case of the 50% off deal, you just get a break on the monthly installment for the second phone. [Weekend Poll] Are You Considering Purchasing An LG G5?